The appointment of Raghuram Rajan as the next boss of the Reserve Bank of India (RBI) has been widely welcomed, in part because of his credentials as a globally-acclaimed, first-rate economist. However, having IIT, IIM and MIT on your CV does not necessarily equip you to become a great central bank governor. 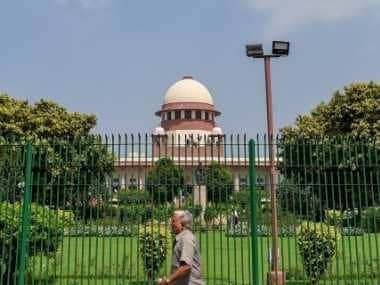 It is more than likely that he will find himself in the same corner as current incumbent Duvvuri Subbarao - in conflict with the finance ministry. First, central bankers, even if they are first-rate economists, have to operate in the reality of a political economy. Their first job is not to re-read old economics textbooks or even their own academic (or journalistic) work on the subjects of inflation, growth, exchange rates, macroeconomics or fiscal math, but to make a realistic assessment of where politics is dragging the economy and offer a counter (or support) to it. In short, the primary job of a central banker is that of a risk-manager. He has to assess the risks faced by the economy due to the policy trajectory taken by government and then step in to correct imbalances. Knowledge of economics is useful, but commonsense is paramount. Second, in a globalised economy run by many central bankers and economic policymakers, not to speak of thousands of big market players, nobody can predict the ultimate direction of any economy with any degree of certainty. The impact of one measure may be completely different from what is intended. The US Fed under Ben Bernanke, for example, has kept interest rates very low to boost the domestic economy and jobs. But the excess money from quantitative easing went to inflate asset prices and boost commodity inflation everywhere else. So much of monetary easing should have deflated and debased the US dollar; but we have seen the exact opposite. And despite his overwhelming efforts to rescue the economy by following easy money, Barack Obama was happy to see the back of Ben Bernanke. Our own RBI has been behind the curve on both raising and lowering interest rates during the 2008-13 period, but it has no significant success to show for its exertions. It is now universally reviled by both politicians and businessmen, not to speak of economists who pretend to know more than Subbarao. We now have both untamed consumer inflation and falling growth. 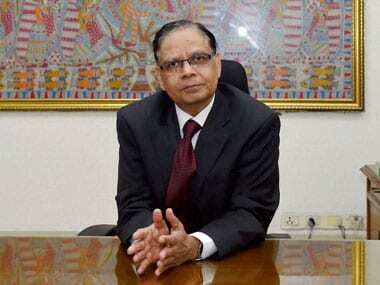 And P Chidambaram is happy to see him go. Third, even with clear-sighted policy, the monetary authority cannot completely compensate for serious fiscal mismanagement. This is really the India story from 2008-13 - and continues to remain so. 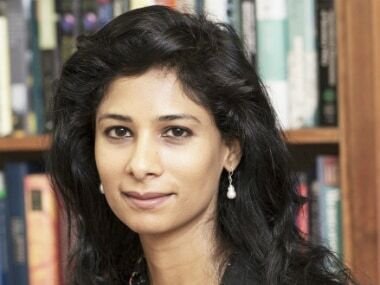 In theory, the RBI could have raised interest rates to 12-15 percent in 2010-12, but it would have been roundly condemned for the resultant fall in growth which was actually the result of policy paralysis, a lax fiscal policy and the evaporation of business confidence. No RBI Governor wants to be held responsible for the destruction of growth and jobs - especially when the real reasons lie elsewhere. Moreover, India's inflation is the result of consistently high minimum support prices for foodgrain, excess spending on non-merit subsidies (fuel, fertiliser), and the government's inability to boost supplies of protein foods, including milk, fruit, eggs and meat, pulses, and veggies. No rate hike can deal with this kind of inflation. On the plus side, Raghuram Rajan starts out with the blessings of the finance minister, and two highly rated former RBI Governors and economists: Manmohan Singh and C Rangarajan. But this is clearly not enough for it is not the job of the central banker to be chummy with his political and economic bosses. It helps to have the blessings of the high and mighty, but this is an asset all Indian central bankers have had at the outset. Remember, Subbarao was P Chidambaram's finance secretary during UPA-1 and this was probably his prime qualification for the job even though Montek Singh Ahluwalia and Raghuram Rajan were both available for the job in 2008. Subbarao won by being close to Chidambaram. In fact, it was Subbarao's presumed closeness to Chidambaram and his successor (Pranab Mukherjee) that may have made him ineffective. He was too late to raise interest rates in 2010-11, and too quick to lower them (in 2012) merely on the basis of the finance minister's promise to lower the fiscal deficit and raise fuel prices. Neither of these delays can be explained by anything other than Subbarao's willingness to listen to North Block. 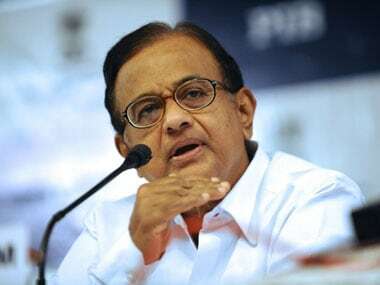 It is only when he found the finance ministry reneging on its promises that Subbarao decided to be his own man and take a line different from what the finance ministry under Mukherjee and later Chidambaram wanted. This soured relationships. Coming back to Raghuram Rajan, it is thus clear that he will be as much beholden to North Block as Subbarao initially, but if he wants to do a good job as Governor, he cannot bend over backwards to please his boss. Can he really do it? Swaminathan S Anklesaria Aiyar, writing in The Economic Times today, is pessimistic on this. In an article titled "New Governor won't get to be his own man", Aiyar referred to Rajan's own opinion on the RBI Governor's role and how he may not be able practice what he preached. Noting that historically the RBI sometimes targeted inflation, sometimes the exchange rate, and sometimes economic growth, Rajan had said that "by trying to do too many things at once, RBI risks doing none of them well." Aiyar is betting that Rajan won't be able to follow his own advice. 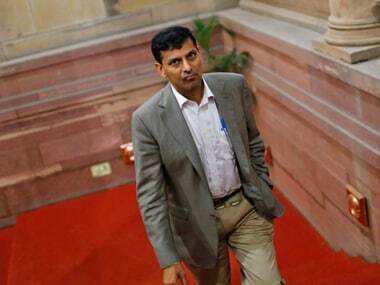 "Will Rajan put this vision into practice as RBI governor? Not a chance. Indian politics will not permit an inflation-only focus for RBI. After his spell in the finance ministry, Rajan must be well aware of the limits to the independence of any RBI Governor." Chidambaram himself went out of his way to debunk Rajan's thesis - though his target was Subbarao - last week when he said: "All over the world, the thinking is changing. The mandate of a central bank must not only be price stability. The mandate of a central bank must be seen as part of larger mandate which includes price stability, growth and maximising employment." It is worth noting that the current efforts to stem the rupee's fall are more a finance ministry obsession than the RBI's, but Subbarao has had to willy-nilly do what it was earlier preaching against: that the RBI does not have a target for the rupee. Unfortunately, the market suspects that the finance ministry does have a target - which is probably Rs 59-60 to the rupee. The reason for this is the political time-table and his fiscal deficit: if the rupee goes into free fall, it means fuel prices will have to be raised quicker or subsidies cut urgently. This he does not want to do. Chidambaram cannot finance the fiscally ruinous Food Security Bill if oil subsidies careen out of control. The finance ministry and Rajan are likely to be on different sides in the battle of the rupee. Rajan has to either accept the reality of doing the opposite of what he believes in or he has to take on North Block's political aims as his own. He can't ultimately be any different from Subbarao.